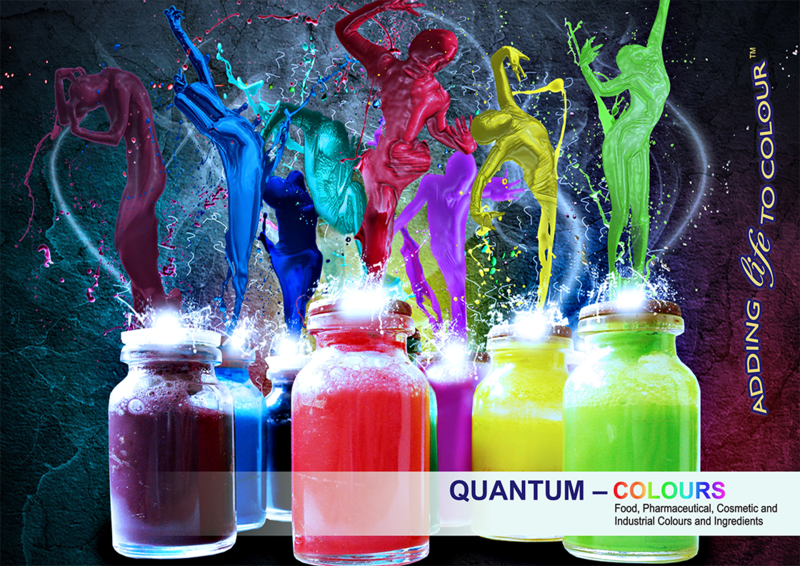 QUANTUM COLOURS SA was started in 2004 as a leading colour supplier to the South African market. Quantum Colours- SA has moved into its new own multimillion manufacturing facility base in Samrand Gauteng. Looking from the balcony one can see the Ben Schoeman highway depicting the lifeline of business in South Africa. It's with this center stage feeling and backdrop of energy, passion and motivation that Quantum Colours is managed and run by its managing director Lonsdale O Donovan. From humble beginnings we have moved to a prime supplier of specialized raw materials not only in South Africa but also supplying materials into our neighboring states and abroad. Our focus has always been people orientated solving challenges with our expertise and professionalism. We have a wealth of experience with some of our staff having almost 20 years of experience in their specific disciplines. We service the food, pharmaceutical, cosmetic and industrial industries with our main focus being colour Adding life to colour. 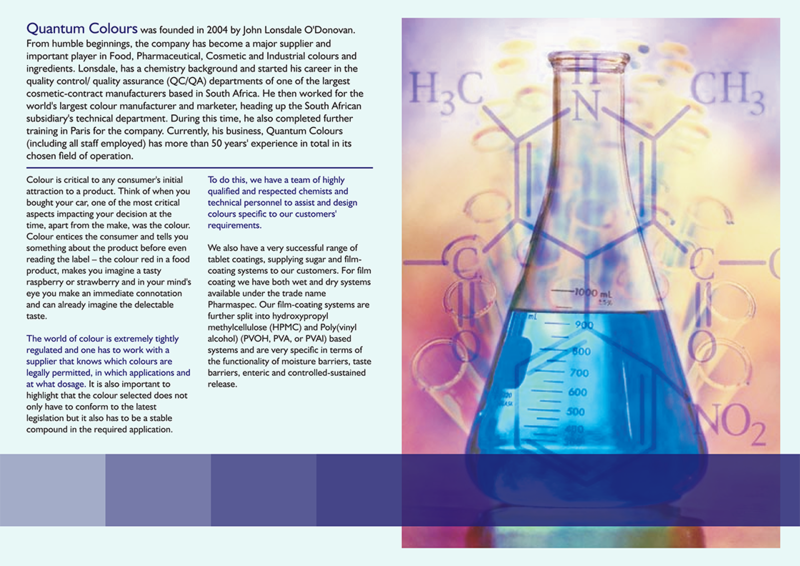 We have made a quantum leap with our already very successful range of tablet coatings (sugar and film coatings) now also offering our tablet coatings with enteric / controlled release/ moisture and taste barriers. 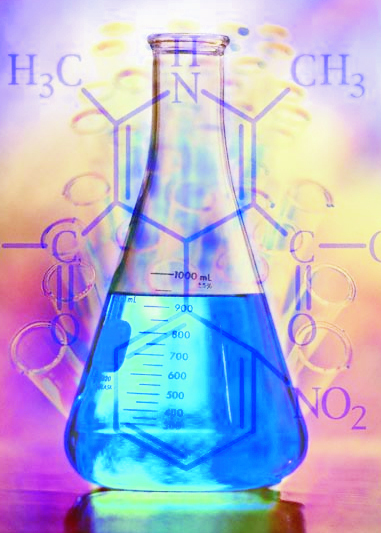 Our coatings are very successfully and widely used throughout the pharmaceutical industry, supplying a range of contract manufacturers that manufacture for clients like Dischem, USN, Clicks to mention a few. With our new manufacturing facility we have also raised the bar as we can now offer faster turnaround times and a much higher output to cope with growing demand. Our all NEW Technical applications laboratory boasts with high tech equipment insuring quality of the highest international standards. We still have a lot planed for the future and will be gearing up for further extensions and improvements in the near future. We have to take this opportunity to thank all our clients and market representatives for their loyal support over the years. Quantum Colours SA is blossoming and like a new spring is on its way it also overwhelms one leaving you with a breath of fresh air.